These brown card stock cards feature numbers one through twenty in white print. Prop the cards up using table card holders (sold separately) and use them as centerpieces. 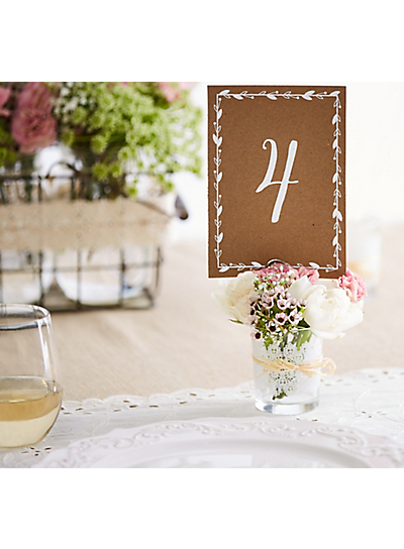 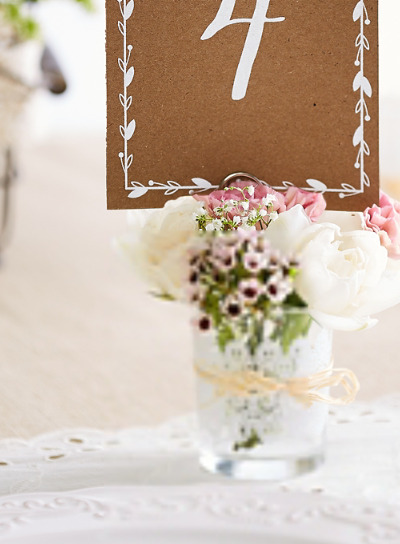 Finding assigned seats will be easy for guests when you decorate the tables with rustic table numbers!